6/17/17: Georgena Eggleston with Beyond Your Grief, LLC | Healthy Lifestyles: Spirituality and Aging, Knocking on Heaven's Door! Are you tuning In? 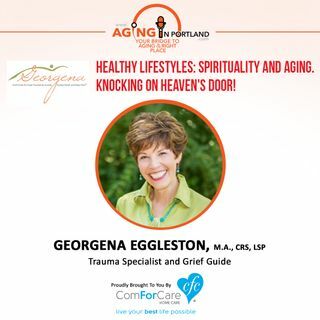 Georgena Eggleston is our special guest as we discuss aging and spirituality. Do you know the difference between loneliness and aloneness? Keep living your life with a deeper connection with Almighty God. Here's the cold, hard truth. We are all going to die someday.The real question is...how are YOU Living?